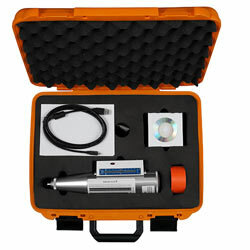 The digital cement testing hammer PCE-HT 225E is designed for measurements of compression resistance on cement and a non-destructive material testing to determine the cement quality. 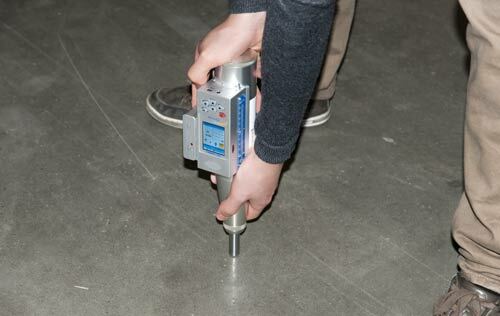 The digital cement testing hammer features an electric transformer which converts the number of rebounds into a measurement value, that is then shown on a display that is fully integrated into the cement testing hammer. 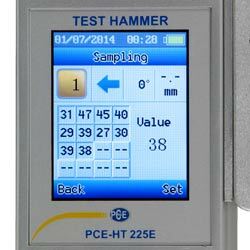 Furthermore the USB interface of the cement testing hammer PCE-HT 225E allows a transfer of the measured data to a computer. Thus the operator can fully concentrate on the test results, instead of simultaneously generating a time-consuming protocol. Due to the software the developed data can be downloaded from the cement testing hammer within short time, in order to process those. 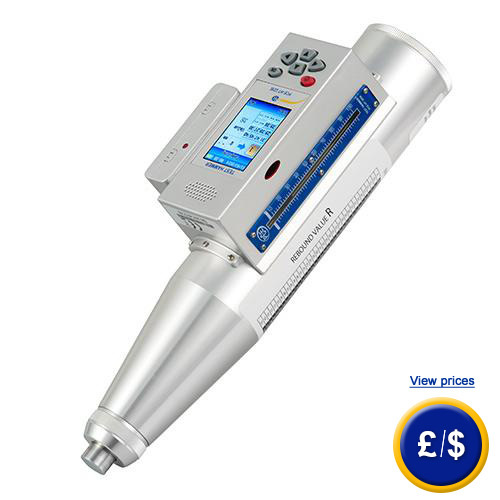 By means of the digital testing hammer various parameters, e.g. lay direction, deformation factor, time factor, and carbonizing can be easily set. 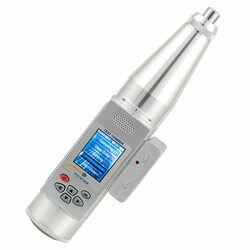 The digital cement testing hammer additionally features a digital voice which vocalizes the determined results in English. 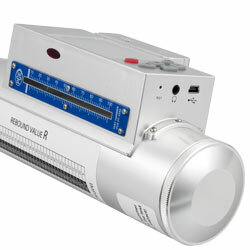 This facilitates testing on locations that are hard to reach so that the display cannot be seen during testing. 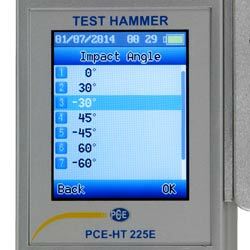 If there are any questions about this Cement Testing Hammer PCE-HT 225E, please have a look at the technical specification below or call: UK customers +44(0) 23 809 870 30 / US customers +1-410-387-7703 0. 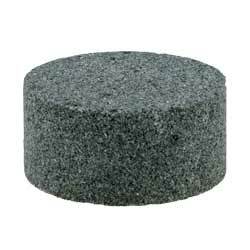 Our technicians and engineers will gladly advise you regarding all cement testers and all products in the field of measuring instruments, regulation and control and scales.